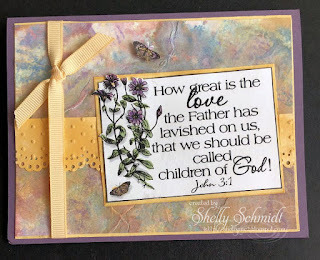 For the Challenge Your Stash challenge, we are to use our favorite flowers image. I decided to use a napkin instead of a stamped image- I love flowers!!! Being a technique person, what brings me comfort is trying a technique! So....... I have terrible allergies! So, while I love all things outdoors, when it gets to the time everything starts to bloom, I am indoors!!! Sneezing probably! So, my joy in Spring is creating with flowers and not having to smell them or breathe in the pollen......... Instead of using a favorite flower image, I chose to use a napkin image. I just love to create using flowers- nothing better than to recreate what I see! And, all in God's glory!!! I took a napkin and took off the scrap white layers, then attached it to a white cardstlock which had been run through the Xyron. I have to confess, I have a huge stash of napkins I have saved to create with!!!! I fussy cut out the flowers and the butterfly from the napkin, then layered it on the white tag. The tag die cut and the Asian Washi are from Aliexpress. The Kanji is from About Art Accents. I was cruising Pintrest, and my search led me to the Tag Your It challenge blog. I spent a little time there, and that is how I ended up using my flower on a tag. I love that I used some really old SU ribbon to bring out the tan color. I tried tying the ribbon using twine as I saw in one of the prior posts at Tag Your It-a challenge blog-- love the way it looks and will use this tying technique again. 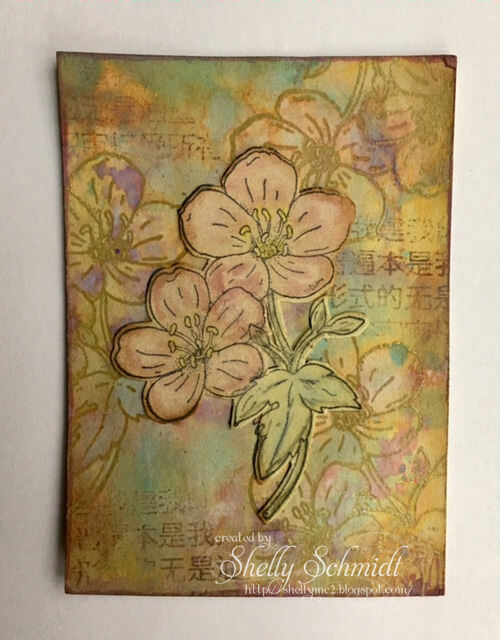 I had a bit if time to play with the Distress Oxide inks, and made a card using a resist technique. 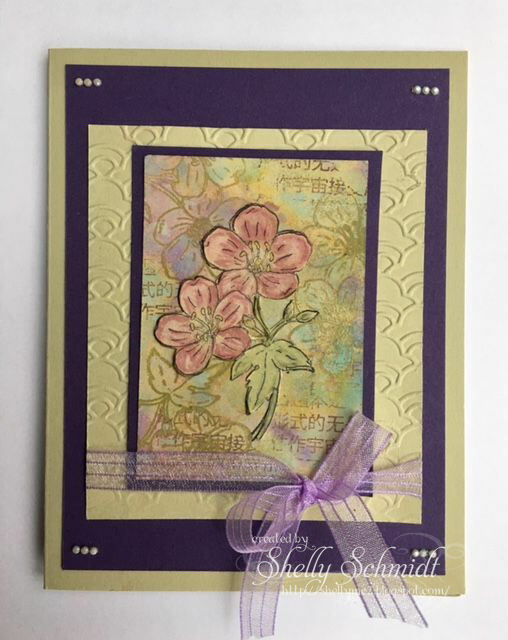 I stamped the floral image in Versamark ink & embossed using clear EP. Then, I dabbed colors onto the craft mat and ran the paper through it. I dried between layers, and love the way this ink layers- so pretty IRL! I added a little Asian Kanji in the background and will use this for the AOSA (About Oriental Stamp Art) Yaahoo group for a BRAK. 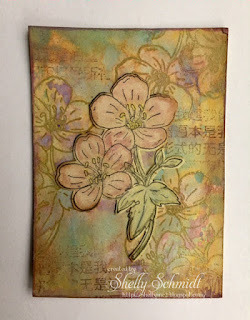 Luckily, I made a 2nd piece- perfect for an ATC- I will send out for the May ATC Lottery- theme is AG! 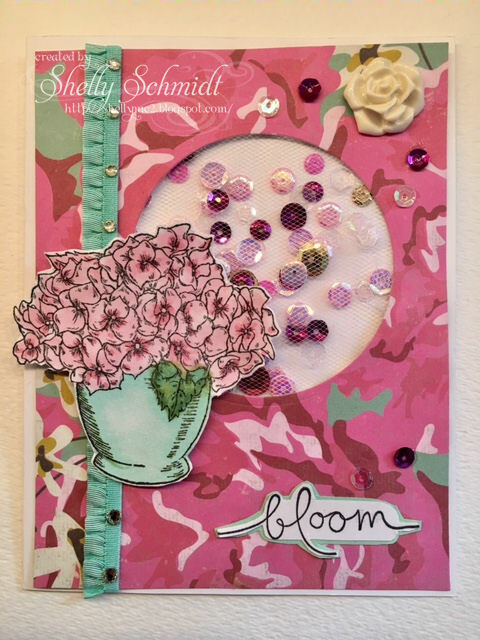 I love floral images, so had to make another with the images Debbie provided in the kit : ) Below, I had to try the technique Jennifer McGuire posted about making shaker cards using tulle. 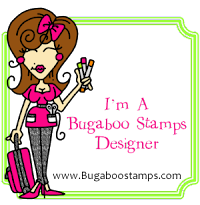 The Dueling Darlings is a group on Splitcoaststampers. We are divided up into the Divas and the ***Dazzlers***. Each group receives a kit, and we all create with a like theme. Then, we hop to each others blogs to see what everyone has created. The hostess for the Dazzlers is Debbie and for the Divas Judy. 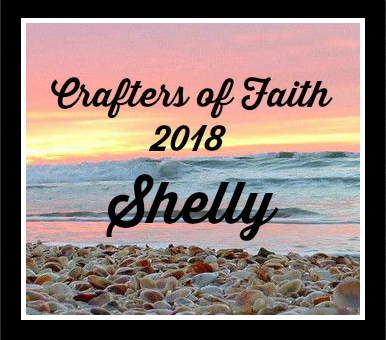 The Crafters of Faith is a group at SCS formed by Kelly Santi, and we have a monthly inspiration hostess in the group which 'jump starts' our creativity to create. "Before the mountains were born, before you gave birth to the earth and the world, from beginning to end, you are God." Psalm 90:2. Whenever I feel like I can't make it through a tough time, I remind myself that whatever problem I'm facing is so teensy-tiny in the big scheme of things. God always was, He is, and He always will be...long before I was on this earth and long after I am gone. All I have to do is be still and let Him take care of things. Thoughts of His constancy comforts my soul, even in the most troubled times. Comfort is the key word for May. 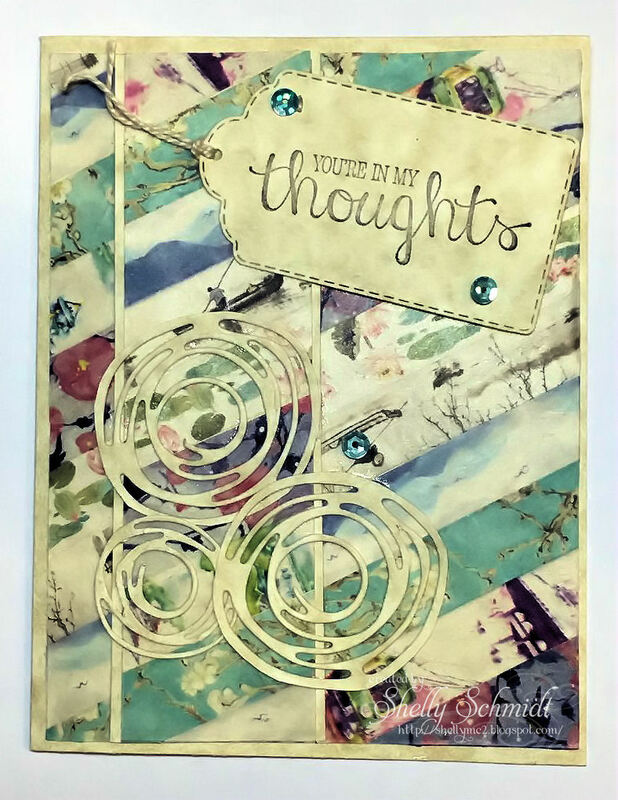 Make a card of something that brings you comfort. It can be a bowl of chicken soup, a fuzzy pet, reading a good book or spending time with a special person. My happy place/place of comfort is creating using new techniques or craft items. 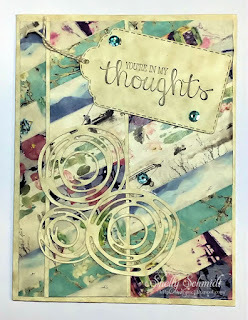 I have some new inks- Distress Oxide Inks : ) So, I played with mixing colors and created the background of a card. I used about 6 or 7 of the inks on my card, splashed on some water and then picked out a cardstock- I used SU Perfect Plum. I used Copics to color the image and added Wink of Stella to the butterflies. 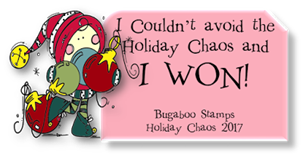 I used a Copic marker to color the embossed and punched border- it was white and it was too stark. 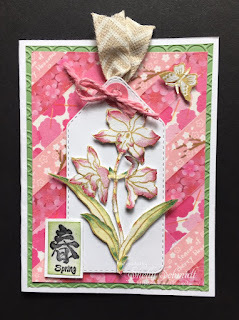 HERE is the gallery at SCS for the May challenge cards from the other ladies in the group. I found some delightful Washi tape that is Asian themed : ) It is not easy to find, so I bought lots! I took a few minutes and made a Thinking of You card for one of the About Oriental Art Yahoo group members that is having some health issues. 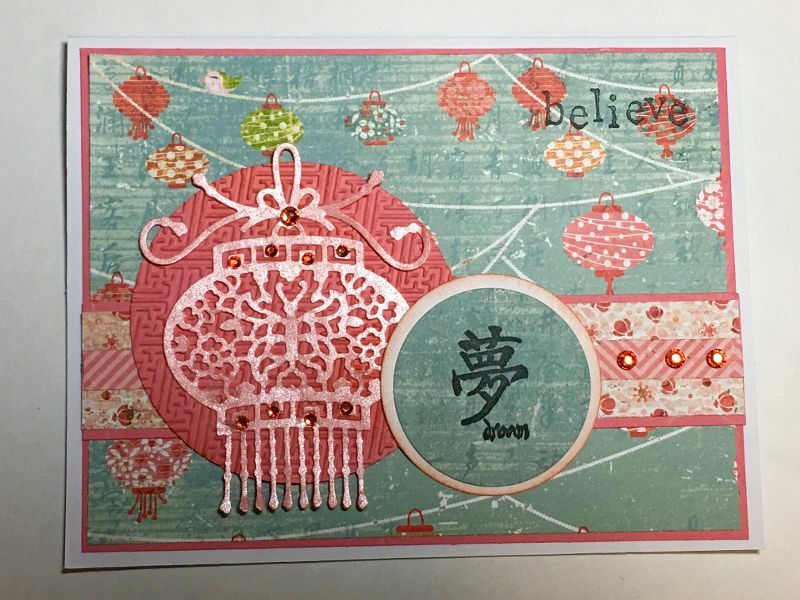 I simply laid the tapes down diagonally on a card base, and made another strip 1 1/2" wide with the same pattern, then flipped it upside down to add a little contrast. I decided yellow was the best match for color, so pulled out some yellow cardstock to coordinate. 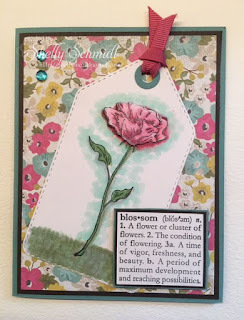 I die cut some pretty flowers, and took the SU sentiment and cut it out with a stitched tag die. The final touch was adding some sequins.